No one wants to face the regret of buying something online only to find it at a lower price later. Nor do you want to miss out on a big sale for a product you've been thinking of buying. That's where these price tracking services really shine. They'll enable you to comparison shop prices in real time, check pricing history, automatically apply coupons at checkout and sign up for email alerts when a product drops below a price point that you set. While there are a number of price tracking sites and web browser extensions out there, these four are our favorites for ensuring that you know the best time to buy, the best place to buy and you're getting the absolute lowest price. Are you looking to save a little bit of cash on your next visit to Amazon? 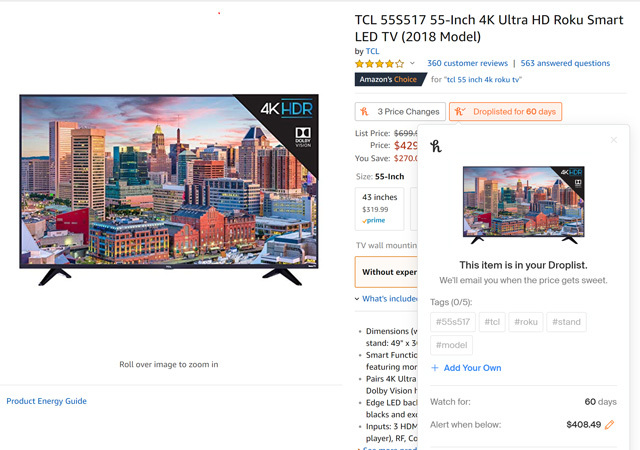 If so, take a look at The Camelizer (aka CamelCamelCamel), a powerful website that monitors and tracks prices for both new and used items listed on Amazon.com using easy-to-read charts. Price history goes back six months, so plenty of time to see price trends. You can see what the best price is for an item today and set up email alerts to notify you when prices drop. Carmelizer is also easy to use. Just find an item on Amazon, copy the URL in the address bar and paste it to the search bar on Carmelizer. Or, you can download The Camelizer browser plugin (for Chrome, Firefox and Safari) and do the research right in the Amazon browser window. Either way, a comprehensive price history of pretty much every item sold on Amazon is right at your fingertips. And be sure to check out tips on the six pitfalls to avoid when shopping on Amazon. 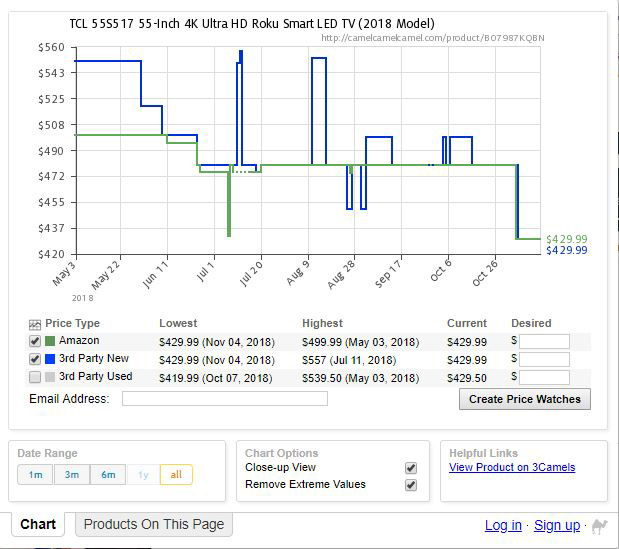 While Amazon has great deals, they don't always have the lowest price. 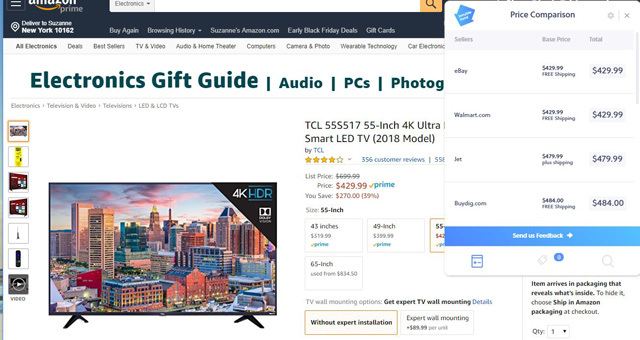 The Invisible Hand browser plugin (for Chrome, Firefox and Safari) searches for deals in real time as you browse for products, so you can see the price on multiple sites at the same time. For example, if you're browsing on Walmart, you can see prices on Amazon, Target, Newegg and more. Invisible Hand will show you the base price and shipping charges, so you can make a fully accurate price comparison. Invisible Hand will also give you applicable coupons, saving you even more money. Since Invisible Hand searches in real time, you may need to exercise a little patience as the page loads. You'll never forget to apply coupons when you install the Honey browser extension (available for Edge, Safari, Chrome, Opera and Firefox). When you get to the checkout page of a merchant site, Honey will automatically find and apply known coupon and discount codes. Honey works with 3700 shopping sites, and you'll know when you're on a site that works with Honey when you see the "h" button turn orange on your browser toolbar for Edge, Chrome, Opera and Firefox or "h" logo to the left of the address bar with red numbers in Safari. Honey also lets you easily track price drops. When shopping on Amazon, Overstock, Target, Walmart, J.Crew, Saks Fifth Avenue, QVC, Loft, Kohl's, Best Buy, AliExpress, you can choose to add products to your Honey Droplist. When adding an item you can select the maximum price you want to pay and the period of time you want to track the item. You'll get an email when the price drops to below the price you set. Most price-tracker apps focus on helping you determine when the right time to buy an item is. But just because you’ve already bought an item doesn’t mean your opportunity to save money is over. Shopping assistant site Earny helps keep track of your spending history, alerting you if it discovers you’re eligible for a price adjustment. Earny scans your email (including Gmail, Microsoft and Yahoo), automatically keeping a browsable database of your online purchases and emailed store receipts. If an item you’ve bought at one of their covered retailers drops in price, Earny will automatically let you know. 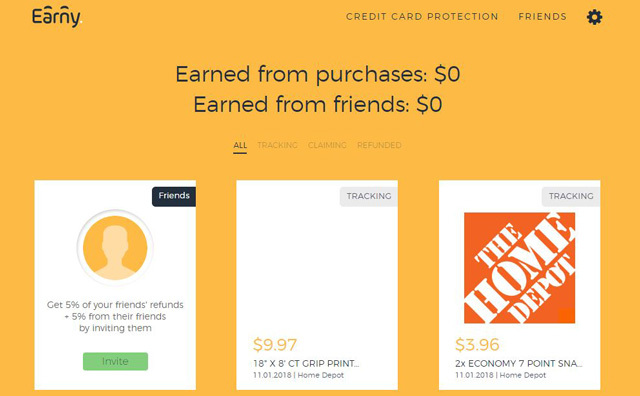 Earny also tracks purchases that are covered under your credit card's price protection benefit. Covered retailers include Amazon, Best Buy, Bloomingdale's, Carter's, Costco, the Gap Group - including Gap, Banana Republic, Old Navy, Athleta and JCrew - Jet, Kohl's, Macy's, Newegg, Nike, Nordstrom, Overstock, Sears, Staples, Walmart, Zappos, and Home Depot. 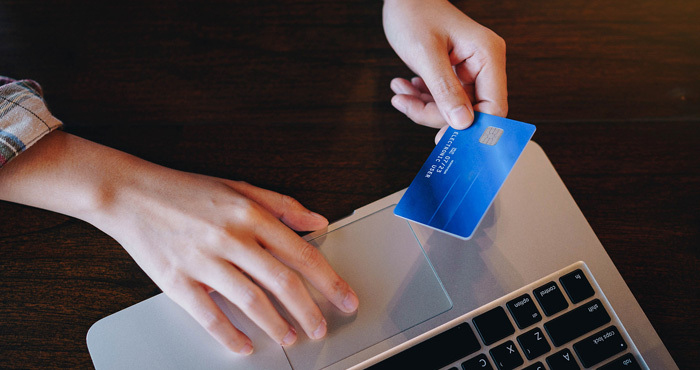 If you are concerned about Earny having access to your email account, you can create a separate account that you use exclusively for online purchases.